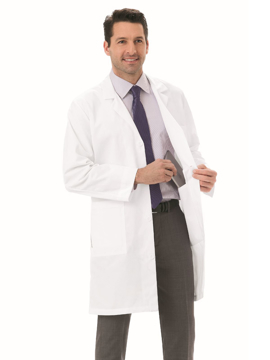 This lab coat features two lower patch pockets, one chest pocket, two inside pockets (including one oversized pocket to hold an iPad®/tablet), hand access slits, pen holder in chest pocket, edge stitched front, sewn down back belt with accent darts above and pleats below. This women's style complements the men's style #1963. Center back length: 37". 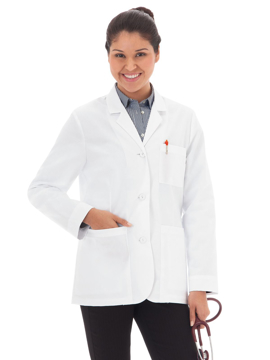 This lab coat features two lower patch pockets, one chest pocket, two inside pockets (including one oversized pocket to hold an iPad®/tablet), hand access slits, pen holder in chest pocket, sewn down back belt with accent darts above and pleats below. 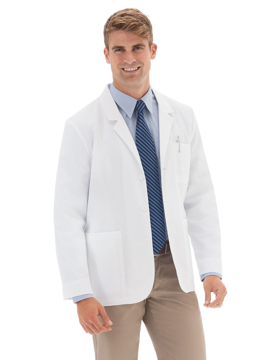 This men's style complements the women's style #1964. Center back length: 38". 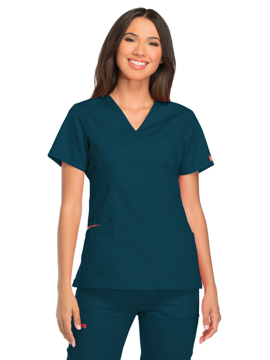 A modern classic fit, empire waist, mock wrap top featuring Dickies logo twill tape at the back neck and an instrument loop on the right pocket. 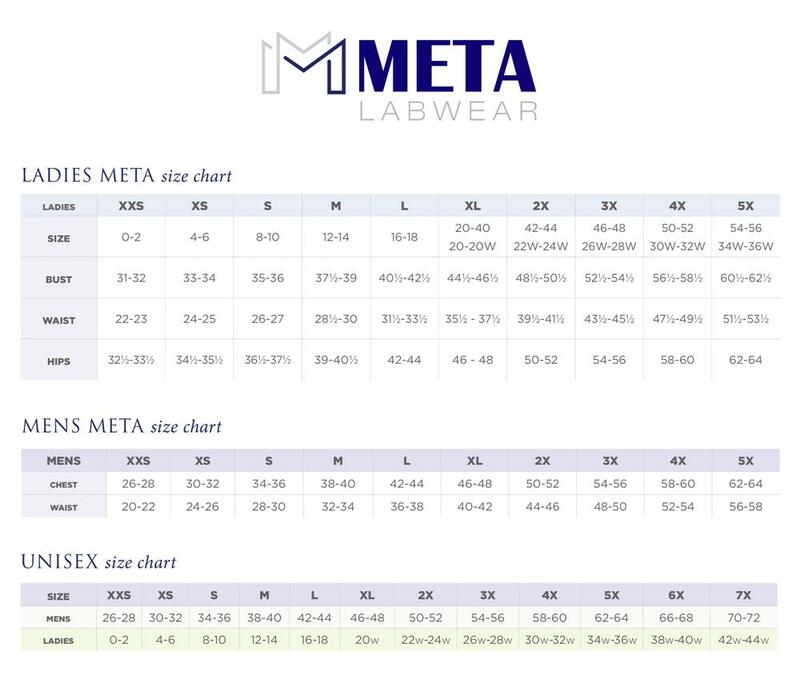 Also featured are patch pockets, a stretchy knit interior pocket, and side vents. Center back length: 25". 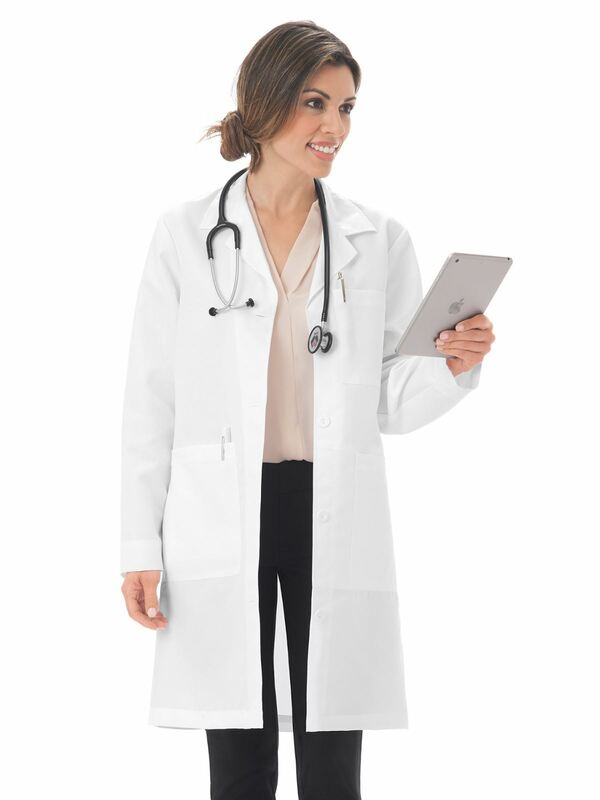 This lab coat features seven total pockets (two lower outside iPad® pockets, one hidden cell pocket, one breast pocket, and three inside pockets), front darts, and a three-button closure. Center back length: 28". This lab coat features seven total pockets (two lower outside iPad® pockets, one hidden cell pocket, one breast pocket, and three inside pockets), front darts, and a three-button closure. Center back length: 30".